Ryerson University Library & Archives » News » News » Learn More About the Library’s Aboriginal Research Portal! Learn More About the Library’s Aboriginal Research Portal! 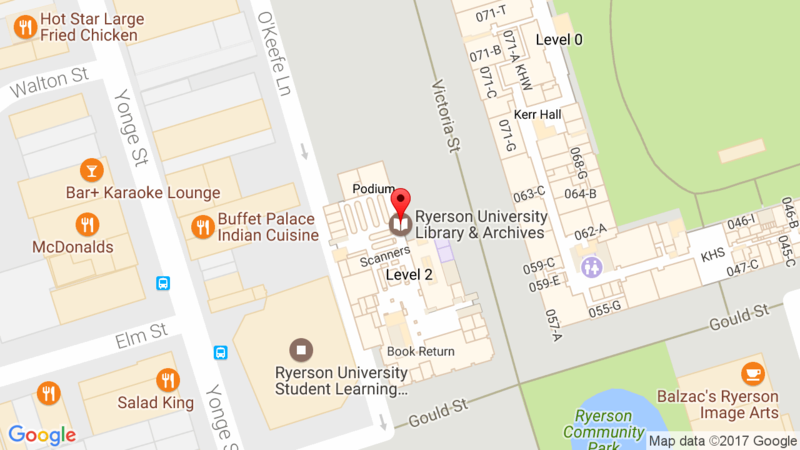 On March 17th, the Ryerson University Library & Archives and Ryerson Aboriginal Student Services are hosting a workshop on the Library’s new Aboriginal Research Portal. Created by Jamie Morin, RASS Peer Supporter, the Research Portal contains great resources on aboriginal topics and traditional knowledge. We’d like to show you the portal and how you can use it to conduct research for your assignments. We also invite the community to help build and expand the Research Portal. We would love to hear your feedback and gather some advice on taking the Portal to the next level! You can check out the Portal here. Food will be provided and there will be a draw for Tim Horton’s gift cards. Kelly Dermody is a Librarian for Accessibility Services & E-Learning at Ryerson Library and Archives. Jamie Lee Morin is a 4th year student at Ryerson University, studying English, French, and Aboriginal Knowledges and Experiences. She currently works at Ryerson Aboriginal Student Services as a peer supporter. During the summer of 2014 she collaborated with Kelly Dermody to create the new Aboriginal Studies Portal. She is Metis, with her community based in Maniwaki, Quebec.